With the rise in popularity of augmenting one’s appearance in the last few decades, the demand for cosmetic surgery has increased exponentially. Because cosmetic surgery is an elective procedure, which means it’s not a medically necessary surgical procedure, many plastic surgery surgeons advertise for their services on television, in magazines and even on the side of buses. Additionally, some cosmetic surgery treatments can be performed by individuals who do not have proper training or credentials to perform these procedures. What recourse do you have if you have undergone a cosmetic surgical procedure that had an outcome you’re not satisfied with? Can you sue the doctor who performed the procedure just because you didn’t like how it came out? At the Yeboah Law Group, we are here to offer a free case evaluation to determine your legal options when you have undergone a botched cosmetic surgery procedure or if you have suffered serious injury and adverse side effects from plastic surgery errors. With more than 20 years of legal experience, our Fort Lauderdale medical malpractice attorneys know how to get maximum compensation for you when you have been injured because of plastic surgery errors. While the terms plastic surgery and cosmetic surgery have been used interchangeably, they are technically two different specialties. The American Board of Cosmetic Surgery explains that, “cosmetic surgery is focused on enhancing appearance while plastic surgery is focused on repairing defects to reconstruct normal function and appearance.” Cosmetic surgery can be practiced by physicians from several medical fields including plastic surgeons, while plastic surgery is a surgical sub-specialty that focuses on reconstructing facial and bodily defects. If you want a tummy tuck, or to lose your double chin, you consult a cosmetic surgeon. If you require reconstructive surgery after a serious burn, or after surgery for breast cancer, you would consult a plastic surgeon. Was the adverse outcome a complication or medical malpractice? The American Society of Plastic Surgeons reports that in 2016 there were 1,780,987 cosmetic surgical procedures performed in the U.S. The New England Journal of Medicine reports that across all specialties, 7.4% of physicians annually had a medical malpractice claim, about 12% of plastic surgeons have malpractice claims each year with less than half of those claims being resolved with a payment to a patient. With plastic or cosmetic surgery, just as with any other type of medical procedure, the plaintiff has the burden of proof to show that he or she suffered an injury at the hands of a doctor or other medical professional. If you have suffered an injury during a cosmetic surgical procedure, to bring a lawsuit against the doctor, there must be a doctor-patient relationship, and you must be able to draw a clear line of causation between your injury and the doctor’s actions or failure to act. You will also have to prove that the doctor’s actions breached the accepted standard of care for that specialty and that the breach caused your injury. 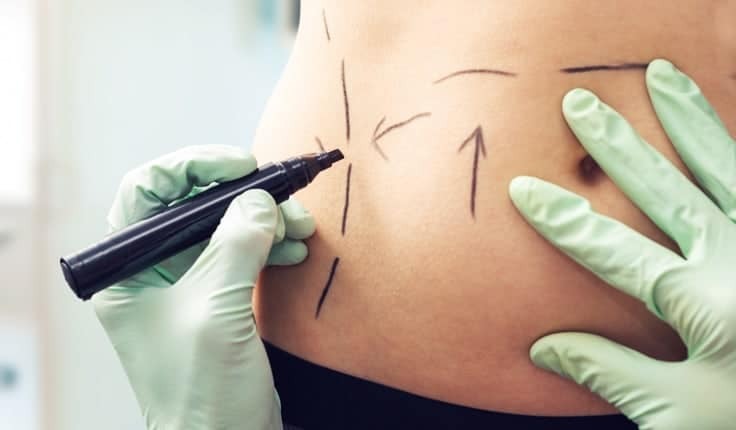 For example, if you have an idea in your mind of what your body might look like after a breast augmentation, or tummy tuck, but you are disappointed with the results of the surgery, you cannot sue the doctor. However, if you undergo elective eyelid lift surgery, and the doctor makes a mistake due to lack of proper training, and you emerge with an injury that affects your vision and your ability to do your job, you may have standing to file a medical malpractice lawsuit. What are some of the injuries from plastic surgery errors? When severe injuries occur due to medical negligence, it can often require additional painful, costly procedures to correct the damage if correction is possible. When you undergo a cosmetic or plastic surgery procedure because you want to enhance or augment your natural appearance, you often are optimistic, and in some cases, have unrealistic expectations about what the physician can accomplish. But, when the outcome of a procedure results in injury and the need for revision surgery, the injured patient wants and needs compensation for his or her suffering, for lost time at work, and the astronomical medical bills that might cause financial ruin. 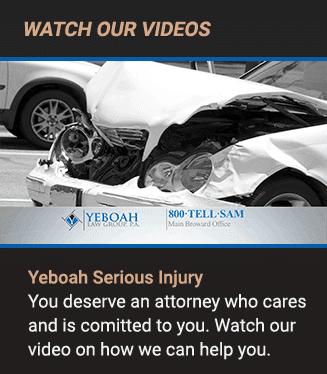 A skilled Fort Lauderdale medical malpractice attorney from the Yeboah Law Group is here to protect your right and to hold the responsible parties accountable for their negligent actions or their failure to act that caused your injury.  If you have suffered an injury due to a plastic surgery error, you are encouraged to schedule a free consultation with a trusted Fort Lauderdale medical malpractice attorney near you at the Yeboah Law Group to discuss your legal options. Call 1-800-TELL-SAM or complete our contact form for a free consultation.